Cassy and Mavvy Legaspi have truly grown as celebrities in their own right. 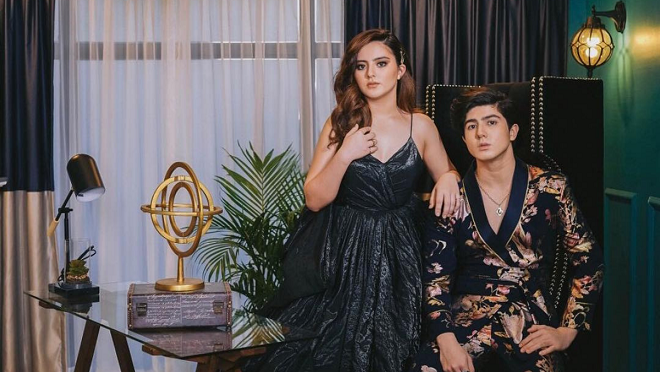 Their upcoming 18th birthday celebration is a reason for getting glammed up: Here's a video featuring the twins showing all signs that they're out to become an unstoppable duo. Their parents Carmina Villaroel and Zoren Legaspi are with them all the way. Here's Carmina thanking everyone who made the photo shoot possible: "Pre 18th bday shoot by @niceprintphoto @theconceptroomstudio thank you @nericbeltran for the clothes. @iengirl for styling the twins. @rickmcalderon for their makeup and @angeljamelarin03 for their hair. love you guys"
Cassy and Mavy are both signed as GMA-7 talents.